TDK RF Solutions is a world leader in the design, development, and manufacture of technical solutions for the electromagnetic compatibility testing industry. 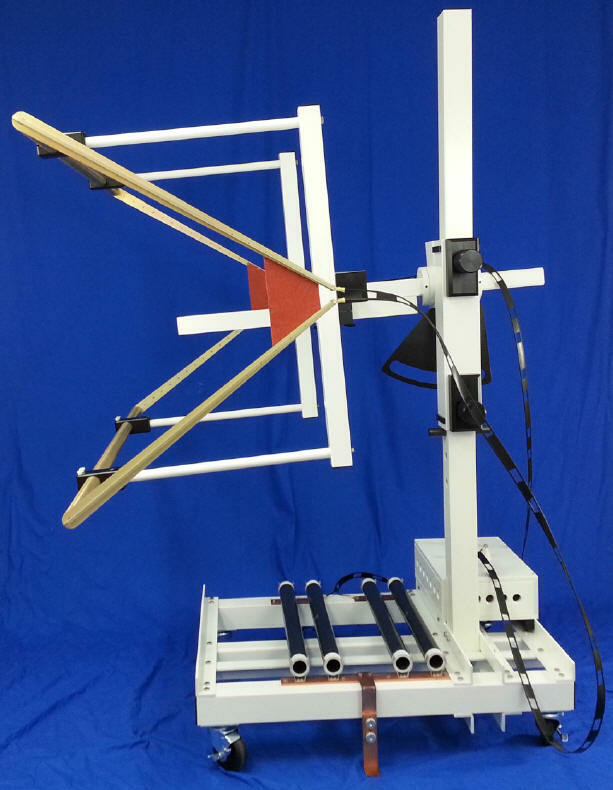 We offer a complete range of solutions, including automated test systems, TDK anechoic chambers, software, antennas, and a wide range of test products. We call it Total System Technology™, and it means TDK RF Solutions is your best choice of partner for proven solutions and services backed by internal technical expertise. The TDK RF Solutions EFG-02 is a transmission-line type electric/magnetic field generator which provides an unprecedented level of flexibility in the generation of controlled, high-intensity electric and magnetic fields over the frequency range of 10 kHz to 100 MHz. It is capable of generating over 500 V/m over its entire operating frequency range using 2.5 kW amplifier and provides a large uniform field area, thus accommodating a very large variety of DUTs. 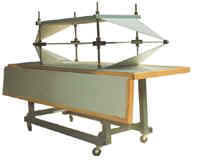 Because the EFG-02 is a non-radiating device, the electric and magnetic fields are essentially confined to the DUT area. Also, it provides extremely low VSWR over its entire operating range thus reducing stress on the amplifier. The unique mechanical design of the EFG-02 greatly facilitates the characterization of unwieldy DUTs. 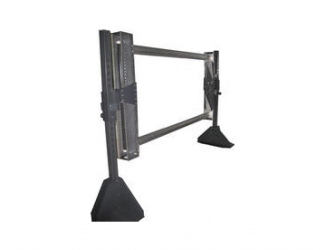 Large or bulky DUTs can simply be wheeled or placed under the system with the aid of equipment (such as a pallet jack or forklift). 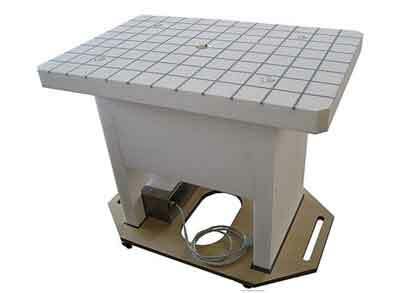 Surface Options The table is available with a wooden top for a non-conducting surface required for radiated emissions or immunity tests or a galvanized metal top for a conducting grounded surface for conducted test measurements. Mobility Commercial grade, lockable casters make the table easy to move within the test facility.